Allergy and asthma triggers don’t disappear when you enter a workplace or school. In fact, outdoor air is a major component of what we breathe when we’re inside, which is compounded by indoor triggers such as dust and pet dander that are all around us. To fight asthma and allergies indoors, you need an air purifier that’s up to the task. AeraMax Professional is proud to announce it is the first commercial-grade air purifier to be Certified asthma and allergy friendly™ by the Asthma and Allergy Foundation of America. With this designation, facility managers and executives can confidently make common areas more suitable for the 1 in 4 Americans with asthma or allergies, increasing productivity and cutting down on missed days of work or school. What’s more, with AeraMax Professional, facility managers can remove infectious flu particles from the air simultaneously, making AeraMax Professional a turnkey solution to multiple air quality problems. Allergies are estimated to cause more than 11 million missed days of work annually, according to the American Journal of Rhinology & Allergy. The U.S. Centers for Disease Control and Prevention note that asthma was responsible for an additional 14.2 million missed work days and 10.5 million missed school days in 2008 alone. Asthma costs the U.S. economy about $56 billion each year and allergies take an additional toll. These chronic conditions are only becoming more common and worsening as the air becomes more polluted. Astoundingly, indoor air can be two to five times more polluted than outdoor air. With proper ventilation, reductions in toxic building products and cleaners and regular air filtration this problem can be reduced. AeraMax Professional line of commercial grade air purifiers effectively captures 99.9 percent of contaminants from the air, including dust, pollen, and mold spores, all of which are known to trigger asthma and allergies. 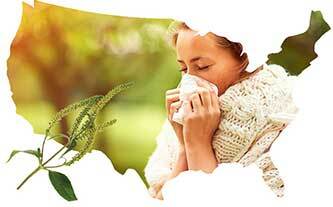 Better air quality creates more suitable environments for the millions of Americans with these chronic conditions.